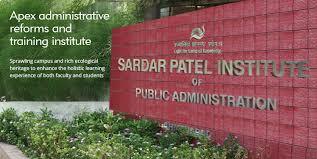 SPIPA Stage - II Essay Test Call Letter 2017 | UPSC Civil Services Exam Training Programme (Entrance Exam): Sardar Patel Institute of Public Administration (SPIPA) has published Call Letters for UPSC Civil Services Exam Training Programme (Entrance Exam) Stage - II Essay Test 2017, More information please read below mention officially notifications carefully. Venue: Sahajanand Commerce College, Nr. Panjara Pol Char Rasta, Ambawadi, Ahmedabad.